Guerlain Parure De Lumiere Foundations | Slapiton Beauty. Guerlain Parure De Lumiere Fluid and Cream Foundations contain an innovative, light diffusing complex, that keeps the skin hydrated on the inside and dewy and fresh looking on the outside. Guerlain Parure De Lumiere Fluid and Cream Foundations donate the skin for the first time 2 luminous effects, treating and creating a beautiful skin and then perfecting the complexion for a flawless look. Guerlain Parure De Lumiere Fluid and Cream Foundations deliver a luminous and radiant complexion with exclusive light booster pigments that multipliy the radiance of the skin for 360 degree radiance all day. Guerlain Parure De Lumiere Fluid and Cream Foundations contain ocean water, for moisture and comfprt and nasturtium extract for freshness and vitality. 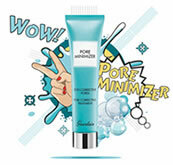 This formulation treats the skin whilst it covers and makes it radiant, rosy and healthy. Guerlain Parure De Lumiere Fluid and Cream Foundations comes in two textures, a light fluid for normal or combination skintypes or a rich creamy texture for drier skins. Guerlain Parure De Lumiere Foundation Fluid Beige Clair is the lightest beige shade in the range. Guerlain Parure De Lumiere Fluid Foundation delivers a luminous and radiant complexion. Guerlain Parure De Lumiere Foundation Fluid Beige Fonce is a medium to dark beige shade in the range. Guerlain Parure De Lumiere Fluid Foundation delivers a luminous and radiant complexion. Guerlain Parure De Lumiere Foundation Fluid Beige Moyen is a medium beige shade in the range. Guerlain Parure De Lumiere Fluid Foundation delivers a luminous and radiant complexion. 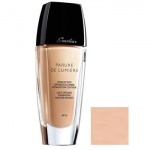 Guerlain Parure De Lumiere Foundation Fluid Beige Natural is a light to medium beige shade in the range. Guerlain Parure De Lumiere Fluid Foundation delivers a luminous and radiant complexion. Guerlain Parure De Lumiere Foundation Fluid Dore Fonce is a dark toned golden shade. Guerlain Parure De Lumiere Fluid Foundation delivers a luminous and radiant complexion. 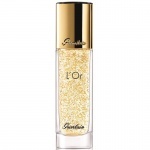 Guerlain Parure De Lumiere Foundation Fluid Dore Moyen is a mid toned golden shade. Guerlain Parure De Lumiere Fluid Foundation delivers a luminous and radiant complexion. Guerlain Parure De Lumiere Foundation Fluid Dore Naturel is a light toned golden shade. Guerlain Parure De Lumiere Fluid Foundation delivers a luminous and radiant complexion. 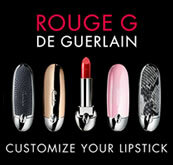 Guerlain Parure De Lumiere Foundation Fluid Rose Clair is the lightest pink shade in the range. Guerlain Parure De Lumiere Fluid Foundation delivers a luminous and radiant complexion. Guerlain Parure De Lumiere Foundation Fluid Rose Naturel is a mid toned pink shade. Guerlain Parure De Lumiere Fluid Foundation delivers a luminous and radiant complexion. Guerlain Parure De Lumiere Foundation Cream Rose Natural is the mid pink shade in the range. Guerlain Parure De Lumiere Foundation Cream delivers a luminous and radiant complexion. Guerlain Parure De Lumiere Foundation Cream Beige Clair is the lightest beige shade in the range. 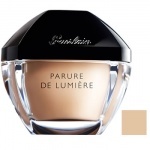 Guerlain Parure De Lumiere Foundation Cream delivers a luminous and radiant complexion. Guerlain Parure De Lumiere Foundation Cream Beige Natural is the mid beige shade in the range. 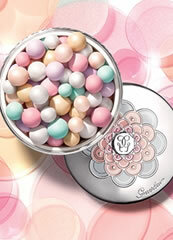 Guerlain Parure De Lumiere Foundation Cream delivers a luminous and radiant complexion. Guerlain Parure De Lumiere Foundation Cream Beige Moyen is the dark beige shade in the range. Guerlain Parure De Lumiere Foundation Cream delivers a luminous and radiant complexion.